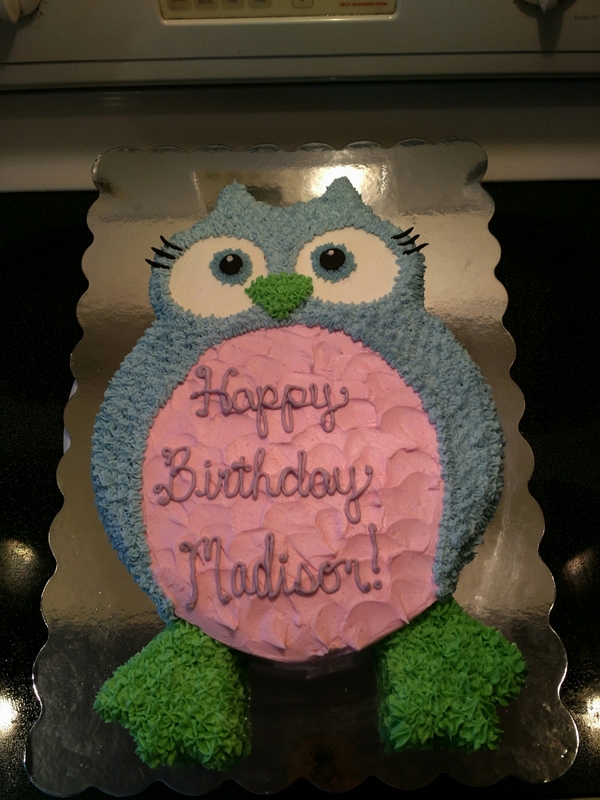 A vanilla cake carved to look like an owl, iced with vanilla buttercream. A 10″ vanilla cake iced with vanilla buttercream. 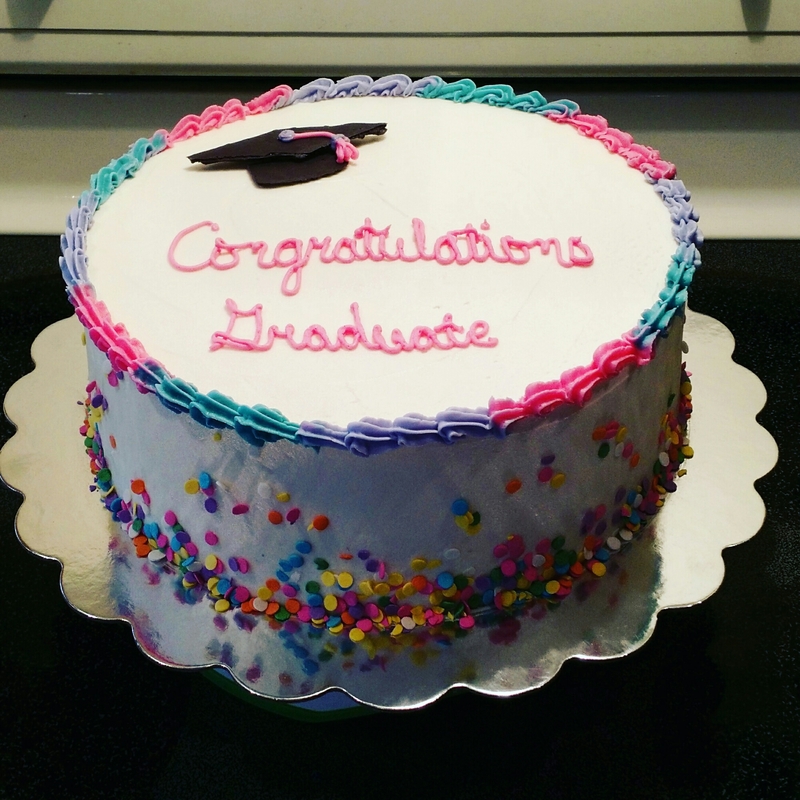 Confetti sprinkles around the bottom border and the mortarboard is made out of chocolate.